Bardsleys is an award winning fish restaurant. It was established in 1926 and has been a family run business for four generations. 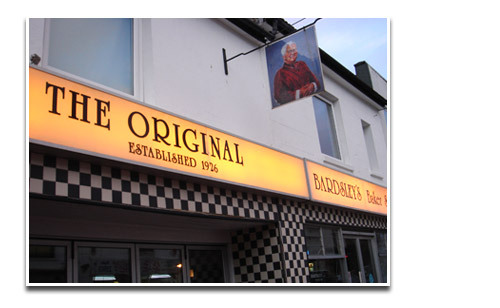 It is renowned for the high quality of it's fish 'n' chips and friendly atmosphere. If you are looking an 'authentic' Brighton fish and chip experience you shouldn't go any further! Frying fish for four generations means a lot of fish, and Bardsleys is committed to sourcing fish from sustainable stocks. If you'd like to know more about this just ask!